Do you make sure this reading time is purely for enjoyment? To help your kids dive into a story? Teaching kids to enjoy reading in this way – without homework or ‘educational’ attachments – plays a vital role in their development and overall wellbeing. Sadly new research out of England has revealed a worrying decline in both the number of kids being read to on a daily basis, as well as the number of kids who read on their own for fun. 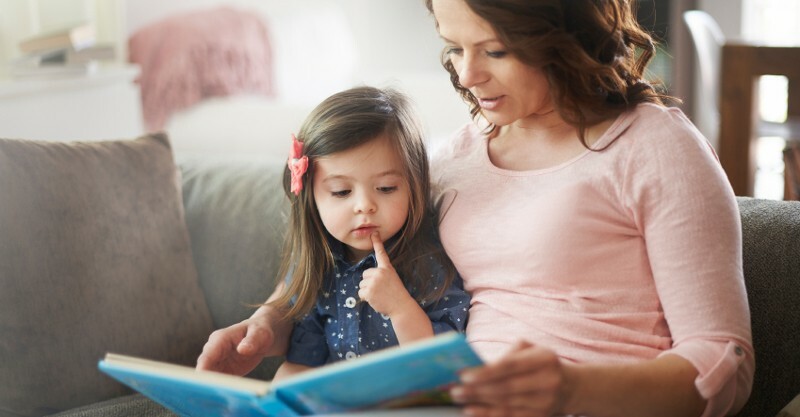 The Nielsen Book Research’s annual survey findings showed that only 32 percent of parents were reading to their children (under 13 years) each day, down 9 percent from 2012. Even worse, most parents stop reading to their kids by the age of eight. Only 14 percent of boys were found to read for pleasure each day, a significantly smaller group than the 24 percent of girls. A second investigation was recently completed by the National Literacy Trust (also in England), surveying 27,000 children with some equally shocking results. Only one-quarter of kids aged eight to 18 read for enjoyment each day, down from 43 percent in 2015. Most kids – of both genders – said they preferred screentime over reading. Over the years, research has uncovered the myriad benefits of reading. But the simple truth is that kids are unlikely to develop a love of reading if they aren’t read aloud to as children. On top of this, the fact that storytime is being terminated at an ever-earlier age is also being linked to a host of potential academic and mental health issues. Kids who read were proven to have less mental health problems in the 2018 National Literacy Trust study. Similarly, another 2013 study found that reading for pleasure boosts a child’s academic success four times as much as one parent having a degree. Don’t be disheartened. Do something! Make sure you keep reading to your kids. Even into their teens (if they’ll let you). Check in with your child’s teacher and see that storytime is incorporated into each school day. If your kid doesn’t want to read with you, encourage them to read to themselves. Every little bit counts and the impact will make for healthier, happier, more intelligent little ones.